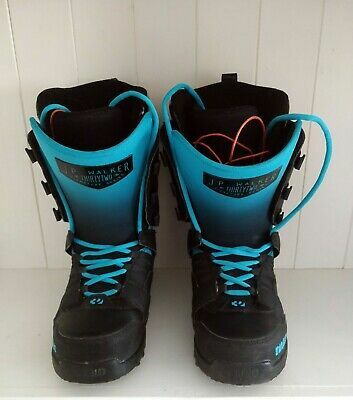 THRITYTWO J.P WALKER SIGNATURE SERIES SNOWBOARD BOOTS 7.5 Superb used condition - To fit size U.K 7.5 - I am a size UK 8 and these fit just a bit too snug with snowboard/ski socks on. They are labelled M9.0 (US 9) but referencing ThirtyTwo s website their 2015-2017 sizes came up half size smaller.https://www.absolute-snow.co.uk/size-charts/thirtytwo-snowboard-boots-size-chart These will fit a U.K size 7.5 foot. I also have some Burton Infidel Bindings for sale!